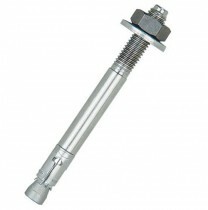 Metro Fixings provide a comprehensive range of Through Bolts. Through Bolts are a mechanical anchor that can be used in a wide variety of applications in concrete of 20N/mm2 and over. Through bolts are available in multiple sizes in steel zinc plate.